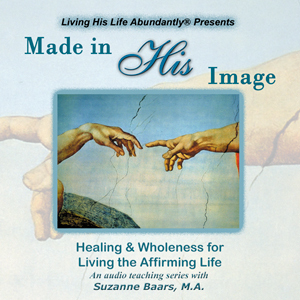 Based on a Christian understanding of the nature and dignity of the human person, this audio presentation addresses the spiritual, physical, intellectual and emotional dimensions of the individual and the need for positive affirmation. A unique audio series which fully integrates Catholic teachings, Thomistic psychology, and the writings of Dr. Conrad Baars -- a pioneer of Catholic Christian psychology. Provides a revealing look at the deep longings of the human heart and the intrinsic need of every person to feel loved and valued unconditionally. Suzanne Baars, a practicing psychotherapist for 15 years, has licenses in Professional Counseling, Marriage and Family Therapy, and Chemical Dependency Counseling. She has a Master of Arts degree from St. Mary's University.